At the graduate level, Boston University offers a master's degree in software engineering. As far as in state institutions offering software engineering degrees this is the only option as of 2012. 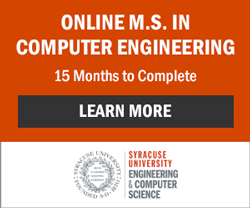 Those seeking undergraduate degrees in software engineering will need to consider an online software engineering program or elect to pursue a related degree program like computer science or computer engineering. You can learn more about the differences in curriculum and fields by reading the articles listed under "Further Reading" on the right hand column of this page. Job opportunities in software engineering are projected to grow through the next decade in the state of Massachusetts according to the Bureau of Labor Statistics suggesting this may be an opportune time to be looking into enrolling in a software engineering, software development or a related degree program.